How many times have we – supporters of the Boycott, Divestment and Sanctions (BDS) movement – been attacked for advocating for the academic and cultural boycott of Israel? Dozens of times, including by so-called leftist activists. Culture is neutral, cynics say from both the right and left. Culture is not (and should not be) linked to the colonial conflict in Palestine. Culture is, in fact, the Switzerland of the conflict! And, anyway, academics and cultural producers are on “our” side. They don’t deserve to be punished. At this point it is important to remember that BDS does not target individuals or specific works, but rather institutions and events. The recent decision of Habima Theater to perform in the Kiryat Arba settlements demonstrates that this stance on cultural is untenable. The name of Habima Theater itself is evidence of the futility of the so-called exception of culture to politics. 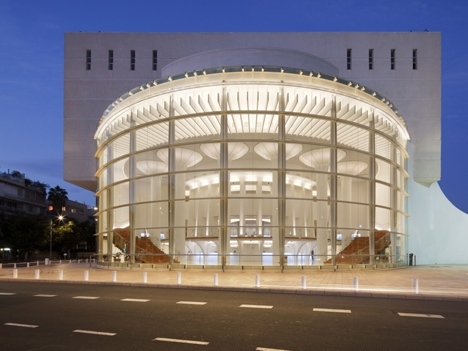 A government decision in 1958 modified the name of this noble and very old institution to “Habima National Theater.” It is therefore impossible to separate the theater from its national role. Today, Habima is the flagship of Israeli cultural institutions. Located in Tel Aviv, it targets a national as well as international audience. Just like all other major Israeli cultural institutions, it acknowledges that part of its mission is to represent the state of Israel to the world and foster a positive image of it – even if only to guarantee ongoing funding. The story that concerns us today, however, centers on the theater company’s upcoming performance in the Israeli settlement of Kiryat Arba in the West Bank district of Hebron. Habima has taken political responsibility for its decision. It is worth quoting company’s declaration on the matter: “the theater's management rejects in disgust any call to exclude citizens and exclude towns, and condemns any attempt to culturally boycott any place where Israeli citizens live.” “We are interested in continuing to provide high-quality cultural to Israeli citizens,” it adds. All “Israeli citizens,” all “Israeli communities:” here, Habima, along with many others Israeli cultural producers who view themselves as educated and enlightened, simply wipe away the Green Line that separates present-day Israel from the occupied territories. If we follow Karp’s logic, it is a lack of culture that explains the colonial violence of Kiryat Arba residents. A little bit of Moliere, Shakespeare or Hanoch Levin and the settlers will become pacifists with paper doves instead of guns. As much as I try to understand Karp and her friends from the Zionist left, I cannot see how, by performing in Kiryat Arba, the Habima actors will convince the so-called “lost ones” that they are living somewhere they should not be. On the contrary, bringing Israel’s national theater to Kiryat Arba supports the settlers’ normalization project and conviction that, with time, there will be no difference between the settlement of Kiryat Arba and town of Kiryat Ata in Haifa. In any event, the mere fact that educated people like Karp or the director of Habima Theater ignore the Green Line should put an end to the debate between a boycott of the occupation or boycott of Israel. It is Israel indeed, and its institutions, that must be boycotted – not only the settlements and their products. This is the only way to ever “convince the lost ones” that constitute the vast majority of Israeli citizens. Michael Warschawski is a veteran anti-colonialist Israeli activist, former political prisoner, and co-founder of the Alternative Information Center.